Valuable Content is a strategic marketing and training business based in Bristol UK. Run by Sonja Jefferson and Sharon Tanton, authors of the best-selling Valuable Content Marketing book, they help businesses of all sizes flourish through a strong use of customer-focused marketing, combining clear positioning with great content. To create an illustrative map which shows the Valuable Content approach to growing a business that people love. 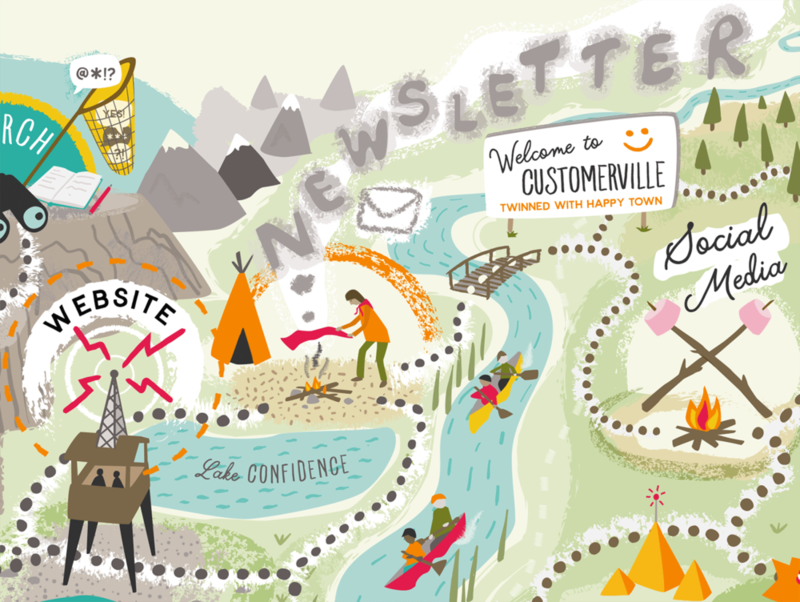 This new illustration is to build on a previous map that had charted a wider journey through The Land of Content, and show various checkpoints a business should work through in order to become more successful and ultimately gain more customers. It is to be used by Valuable Content in presentations and on their website. Sonja and Sharon briefed me to create a map which combined "the feel of a Richard Scarry picture book with the lushness of the Shire in The Hobbit" - I took this to mean basically have fun with it! We discussed the idea of the map taking on a 'wilderness adventure' vibe and the visual language that this would open up for icongraphy. 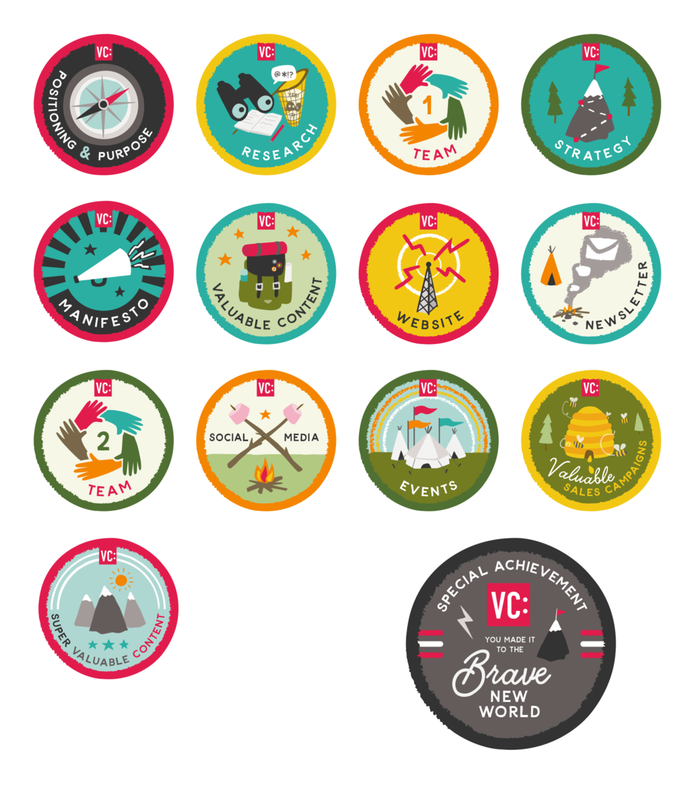 Each of the checkpoints could became like virtual badges, to be earned as your business progresses along it's content marketing journey.